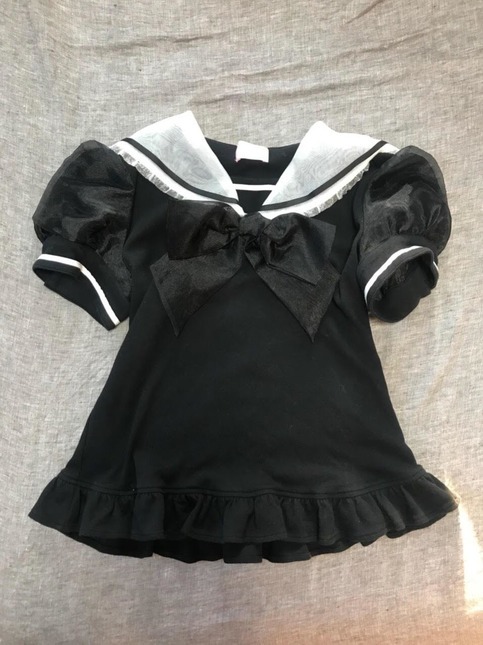 Wearable kawaii black sailor cutsew! 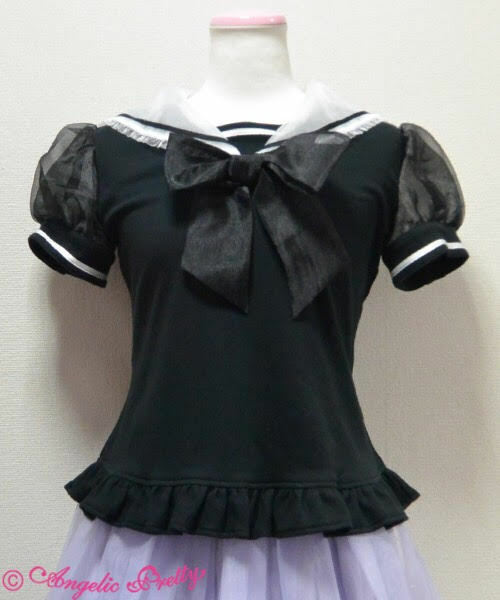 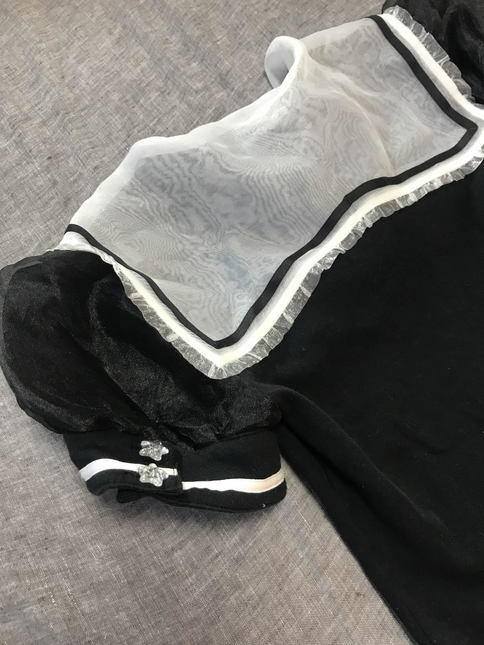 It is in good conditions, with super cute organdy details in white on the neck, and black for the ribbon. 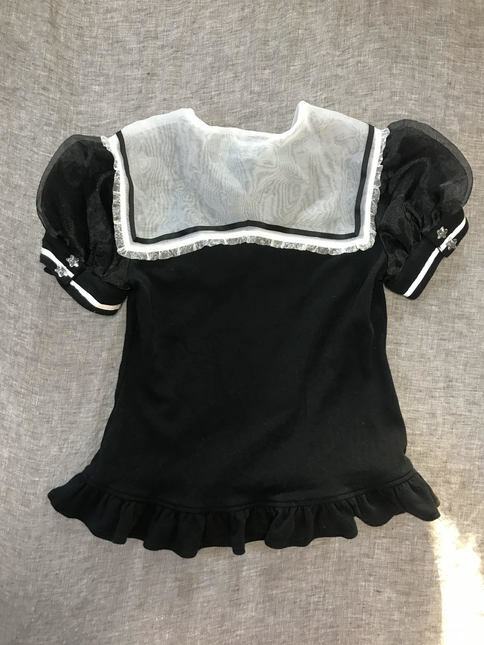 It’s been kept at home, so it has a bit of wrinkles in the back part (picture 4), but nothing a bit of care wouldn't fix. 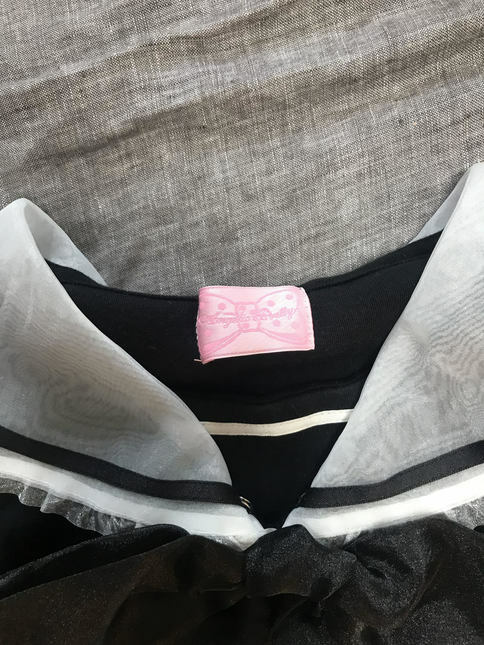 All packages ship from Japan, and I add some surprises!